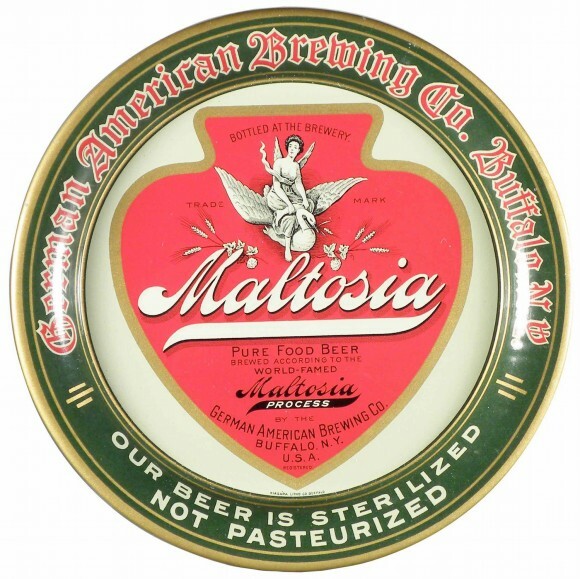 Serving Tray for Maltosia, Pure Food Beer, from The German American Brewing Company out of Buffalo, New York. Text along the bottom border states “Our Beer is Sterilized, Not Pasteurized.” Brewed According to the World-Famed Maltosia Process and Bottled at the Brewery. The company’s trade mark angel sits at the top.